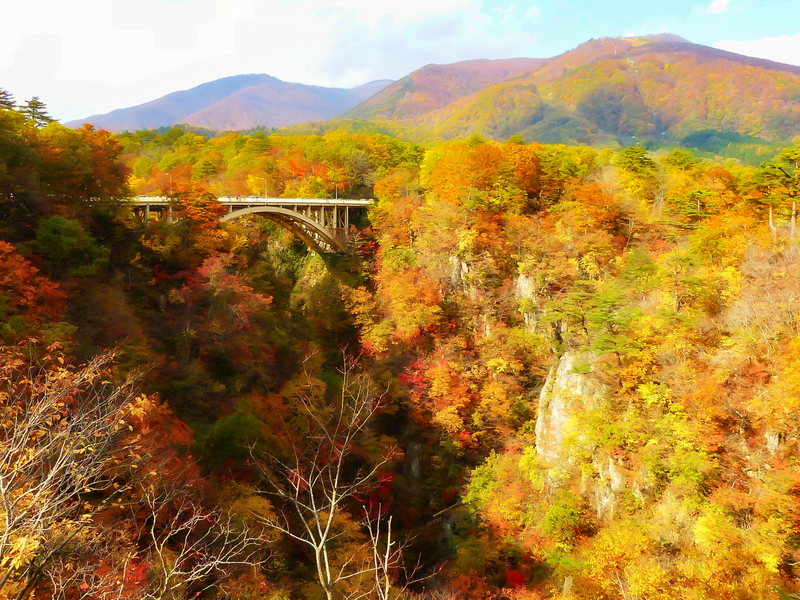 While Naruko Gorge is famous as a spot for viewing fall foliage, it can be enjoyed in any of the four seasons, whether it be for the fresh green leaves in spring, as a place to escape the summer heat, or for playing in the snow in winter. Naruko Onsen has been a hot spring town for 1,000 years and still has an old-fashioned feeling to it. It is an attractive spot, not only for the wonderful quality of its spring waters, but also for its abundant natural environment. With plentiful leisure facilities including ski grounds and golf courses, Naruko Gorge is an area where visitors can fully enjoy highland resorts.